In July 1964, one of the first things Stanley Kubrick did to prepare his film 2001: A Space Odyssey was to contact the man who didn’t end up creating the look for it. This was production designer Ken Adam, who had just worked on Kubrick’s Dr Strangelove (1964), and would go on to define a hi-tech, camped-up, near-future aesthetic for the Bond films, up until Moonraker (1979). 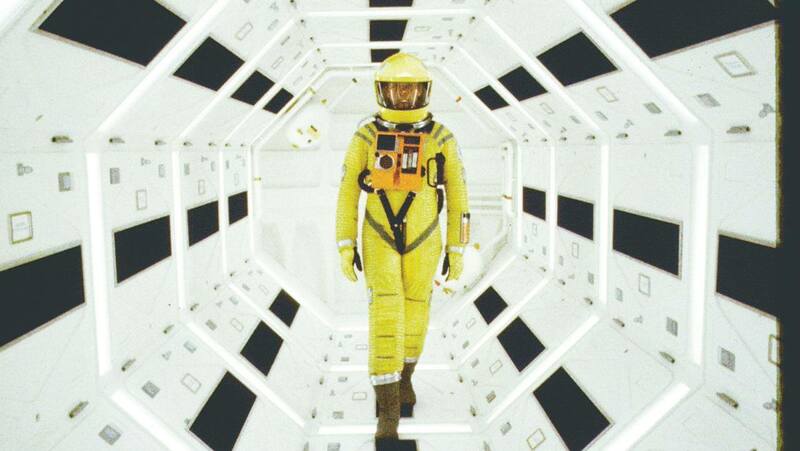 Adam was the obvious choice for the film Kubrick had in mind. But the two men clashed in a series of letters which are included in The 2001 File, a new book filled with drawings and sketches from the archives. The problem was simple: Adam wanted to see a script before agreeing to get involved. Kubrick didn’t have one. The making of 2001, which cost $10.5 million and took four years to bring to the screen, would probably terrify a studio too much today even to contemplate. The director’s idea, at the outset, was vague – it was essentially to make the first adult, state-of-the-art science fiction film set in space. The working title “Journey Beyond the Stars” – disliked by the writer Arthur C Clarke on whose fiction the film was based – was eventually changed because it sounded like a Fifties comic-book adventure. Yet Kubrick was firm on one point: the film would be technically unimpeachable as a hypothetical account of humankind’s future conquest of space. Form would follow function: the director didn’t want beautifully designed space probes just because they looked nice. He caught a break when Clarke introduced him to the German-born designer Harry Lange, who was new to cinema but had been recruited by Nasa as a head of its “future projects” section, to work on spacecraft designs alongside the rocket scientist Wernher von Braun. When Lange was brought on to 2001, the shaping of the film could begin in earnest. Eighty per cent of the material in this new book is taken from his personal collection, and testifies to the perfectionism of Kubrick’s approach. The cinematographer Douglas Trumbull claims that the models eventually used are “probably the most precisely detailed ever constructed for a film”. Meanwhile, Kubrick was busy wrestling with authenticity in every other area, including how best to render the character of HAL 9000, the Discovery’s rogue nerve centre, persuasively on screen. IBM had been approached to consult on the film’s many other computerised devices, with the understanding that the company logo would appear on many. It became clear in October 1965 that a malfunctioning system – initially called Athena – would form a central part of the plot, which everyone feared might prove a bit of a fly in the ointment. It didn’t help when the computer’s name became HAL, which IBM employees noticed was just one alphabetical shift away from their company’s name. Clarke claimed that the letters HAL stood for Heuristically-programmed Algorithmic Computer, as in his novel, and that the apparent satirical dig at IBM was a pure fluke. He even calculated the odds of this coincidence – 26 cubed, or 17,576 to 1. Lange disagreed, saying the allusion was intentional. Since both men died in 2008, we may never know for sure. What a vast epic of tinkering 2001 was. Poring over the sketches in The 2001 File and reading Christopher Frayling’s account of pre-production, we’re privy to all of the evolutionary stages before the final look was agreed upon. We even see a prototype for the famous black monolith when it was not rectangular, but a pyramid. MGM’s executives famously didn’t “get” 2001 when it test-screened in April 1968. Pressure to justify the film’s price tag had led to the false expectation that it was something closer to Flash Gordon. With the marketing drive recalibrated, and damage limitation achieved against initially negative reviews, the message finally got out there: this was an unprecedented cinematic trip, a largely non-verbal art film pushing against the frontiers in every sense. It was to be a voyage not just into outer but inner space, journeying beyond the stars and somehow penetrating the unconscious on the other side. It was the riskiest gamble of Kubrick’s career, a potential white elephant sculpted after untold man-hours at the drawing board. But when audiences got on its side, it catapulted them into a state of awe. The 2001 File by Christopher Frayling is published by Reel Art Press.